At Max Velocity, we are constantly striving to provide the most realistic and interactive activities for our clients and partners. We believe our Pit Stop Challenge is the most advanced in the UK and Beyond! Ideal for smaller groups of up to 20 people, this team building activity takes each participant through a journey of pitstop history, bringing them up to date with the latest techniques used by F1 teams today. We’ll turn your team into a professional pit crew working in perfect harmony! Split in to teams of 3, we provide a briefing, practice and timed runs, alongside our leaderboard to create a competitive atmosphere for your guests. The rapid wheel change challenge is ideal for larger groups or events where throughput is important. 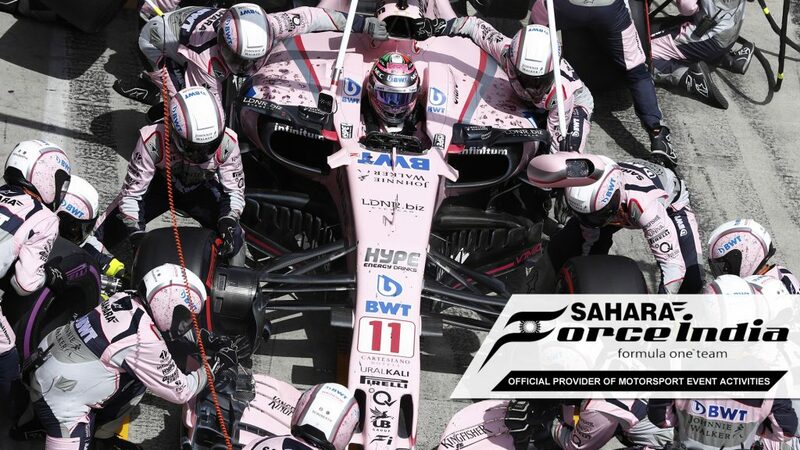 As a result of successfully delivering activities at their major events, we are really proud to be an Official Event Provider to The Racing Point Force India F1 Team. With this partnership in place, we can provide access to the Factory, F1 Cars and so much more. Perfect for your event! 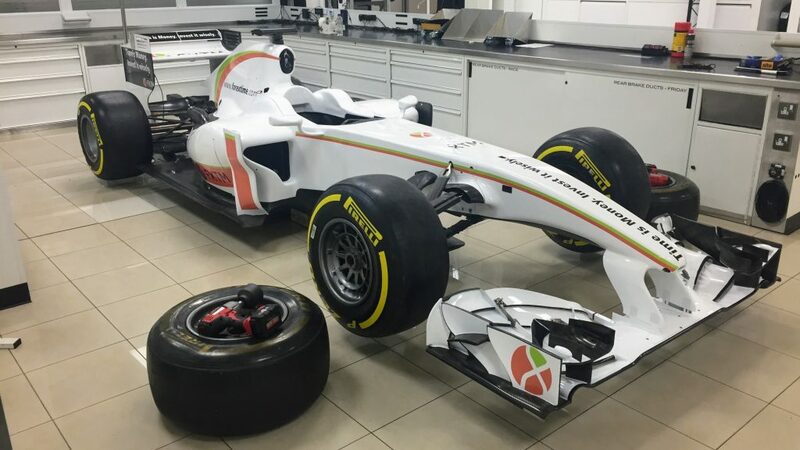 The Force India Pit Stop Challenge provides a genuine car in current livery, adding Formula One glamour and realism to your event. As with all our F1 cars, we are able to offer a complete branding service, from design to print and application. The cars are fully prepared ahead of your event, providing the WOW factor from the moment we arrive! Similarly, getting your team in the corporate world to work effectively together can be rather difficult and it’s not something that happens at the mere click of your fingers. Our aim is to accurately recreate the experiences of the motorsport industry and our Pit Stop Challenge is one of our most popular activities yet. The partnership we have with the Force India F1 Team gives our customers access to a genuine race car, which means that our Pit Stop Challenge is likely the closest you’ll get to experiencing the thrill of rapid wheel changes trackside at the Monaco or Spa circuits. Max Velocity are constantly trying to provide the most realistic and interactive activities for our clients and partners. In fact, we believe our Pit Stop Challenge is the most advanced in the UK and beyond! With the best Pit Stop Challenge out there and the right crew in place, we will turn your team into a professional pit crew working together in perfect harmony in no time at all! Split into teams of 3, we provide a briefing, practice and timed runs, alongside our personalised leaderboard to create a competitive atmosphere for your guests. The rapid wheel change challenge is ideal for larger groups or events where the throughput is important – so if you’re wanting brand exposure, this is a great way to ensure that people remember your business long after the event is finished. Max Velocity’s Pit Stop Challenge is the ultimate test of teamwork and with our realistic experience, your guests or employees will be exposed to invigorating levels of pressure. 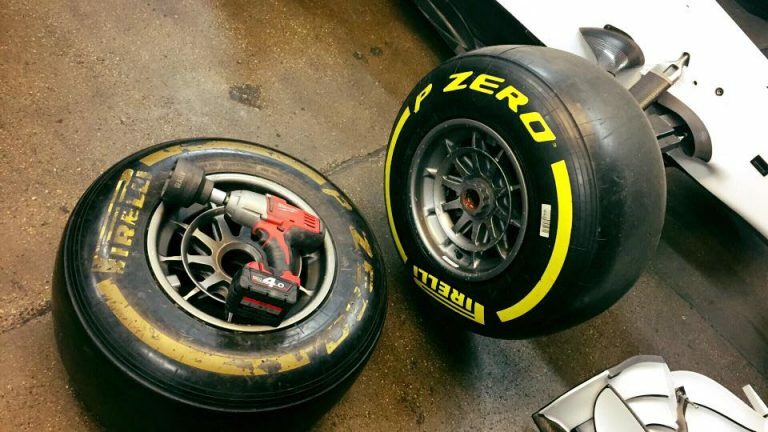 If you want to test how well your team works under pressure, then sign them up to take part in our Pit Stop Challenge. Natural leaders will shine through but you will also get a chance to identify the workers that are working away behind the scenes without making much of a fuss too. If you want to find out more about our Pit Stop Challenge, get in touch with our friendly team today.